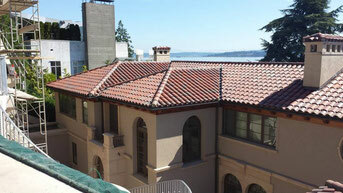 Masterwork Roofing is a leading roofing company located in Everett, Washington servicing Seattle, Bellevue, Bothell, Kirkland, Mercer Island and all of Washington. Our dedication to excellent customer service and craftsmanship, using only the highest grade products, we have exceeded our customer expectations for over 35 years. Full Liability and Workers Comp insurance coverage. New Construction, Re-Roof, Cleaning and Repairs. Full written and manufacturer warranties. Masterwork Roofing is a proud member of The Master Builders Association of King County and Snohomish County.